Managed funds will soon be included in a new NZ financial product comparison site that already aggregates information on all KiwiSaver schemes, mortgages, credit cards and loans. 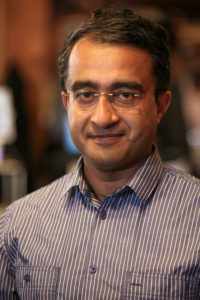 Launched in the last month, Pocketwise – whose founders include SavvyKiwi chief, Binu Paul, and Richard Dellabarca, the recently-appointed head of the New Zealand Venture Investment Fund – has an ambitious plan to corral a broad range of financial products and other consumer services (including mobile and broadband plans) inside its digital perimeter. According to the Pocketwise website, the service offers consumers “extensive analysis” across the product suite with online tools designed to “help you narrow down and find the best product to suit your situation or lifestyle, and achieve your financial goals”. Paul, who launched the KiwiSaver comparison site SavvyKiwi three years ago after long stints at Nikko Asset Management and FundSource, said Pocketwise aims to include all products in each class for comparison. However, unlike the SavvyKiwi service (which is currently funded solely from subscriptions) he said Pocketwise does accept commission from providers. “But regardless of whether a provider pays us a commission or not we will include every product in every category,” Binu said, with clear disclosure of remuneration to Pocketwise clients. He said the commission structure would not influence the comparison algorithms. As well as Paul and Dellabarca, Pocketwise founders include former ASB Digital technology specialists Prashant Trivedy and Santhan Kusam Venkata. The four are shareholders and directors of Fintech Solutions, a company formed this June. Paul is also convener of the pioneering NZ financial technology conference, Finnotec, slated for a sequel appearance this week. He said despite shifting Finnotec to the larger Langham Hotel venue in Auckland (after selling out the Hilton at the inaugural 2016 event) the conference had almost filled up. A handful of tickets were still available via the conference website as at late last week. Finnotec, set down for this Friday at the Langham, features speakers from Singapore, Hong Kong, Australia, US and Latin America as well as local experts. The 2016 conference was the first NZ event to address the burgeoning fintech sector.